Piedroba Consulting Group (PCG) is scheduled to present a paper on May 8th at the 34th PIANC World Congress 2018 in Panama City, Panama. PCG's Dr. Luis Prieto-Portar (Principal) and Jelle Prins (Partner) will discuss how Performance-Based Contracting (PBC) has evolved as a contractual vehicle within the dredging industry and how the dredging industry can benefit from PBC in the future. PBC, also known as a “draft guarantee contract”, transfers long-term sedimentation risk to the contractor, who is paid via fixed-term payments. The method is so successful that in some cases the PBC has lead to novel financing via tolls of the waterway (a concession contract). This paper provides supporting information of three successful applications of PBCs in Argentina and The Netherlands in large dredging programs. In all instances, disputes have been absent throughout these three contracts (involving over 20 years of continuous dredging). Additional data is presented on the technical and quality aspects that are most significant to the PBC to preserve the quality and successful completion of the projects. 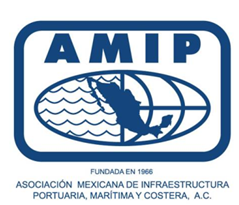 In addition to presenting the paper PCG will host a 1-day Executive Dredging Seminar at Manzanillo International Terminal (MIT) Wednesday May 9th. PCG already taught a week-long dredging class to the Maritime Authority of Panama (AMP) in April. ​Piedroba’s Dr. Luis Prieto-Portar and Jelle Prins host World Bank Study Tour on Performance-Based Dredging Contracts. Dr. Luis Prieto-Portar and Jelle Prins assisted the World Bank in organizing a weeklong Study Tour for a delegation of Bangladeshi Inland Waterway and Transportation Experts. The Tour took place May 14th to 19th in Belgium and The Netherlands and was a productive week full of knowledge transfer between a variety of Dredging and Inland Waterway Experts. During the week, a total of four presentations were given by Dr. Prieto-Portar and Mr. Prins, covering the History of Dredging and Different Types of Dredging Projects to the specifics of Dredging Procurement and Performance-Based Dredging Contracts. The diverse program also included site visits to different projects throughout Belgium and The Netherlands. Dr. Luis Prieto-Portar added: “Whenever you’re invited to teach and share some of your experiences with an audience that includes high level officials, like we had that week, it is humbling. The delegation we hosted was well-informed, and a delight to be around. I am hopeful that by supporting this event we have been able to make a positive impact on Inland Waterways in Bangladesh”. ﻿World Bank contracts with Dr. Prieto of Piedroba Consulting Group for water transport operation improvement initiative in Bangladesh. Dr. Luis Prieto-Portar, Piedroba’s Chairman and CEO has been invited by the World Bank to offer his dredging expertise and experience in developing training institutions for improving water infrastructure operations in the Bangladesh Delta. Additionally, Dr. Prieto-Portar will lead and produce a number of tenders for dredging works aimed at improving maritime navigability within the region. The World Bank’s initial mission will take place early December 2017, with numerous world transportation and engineering experts joining the effort. Dr. Prieto’s engagement is expected to last for 3-6 months. Piedroba partner Jelle Prins is pleased with the opportunity provided to his firm’s CEO: “We’ve been in communication with the World Bank for some time now, discussing our assistance on numerous of their initiatives, and we feel that this particular engagement is a nice fit for Dr. Prieto. His affinity for South Asia is well known, always enjoying his work in the region. To be able to contribute to the wellbeing of the Bangladeshi by sharing his dredging engineering expertise through partnering with the World Bank will be as satisfying experience”.